A new survey has named Middlesbrough the eighth best place in England to be a primary school child. The survey looked at which towns and cities have the most museums, libraries and soft play centres per 10,000 of the population, as well as local school performance, and used those scores to calculate the rankings. The survey took public data from local councils, as well as websites Yelp and Day Out With The Kids, and found that Middlesbrough ranked at number eight out of 50 towns across England. Middlesbrough scored highly for the number of libraries in the city, with 40 libraries per 10,000 people. It also has one of the highest numbers of soft play places in the country, with 41 soft play places per 10,000 people. We have been working in Middlesbrough since 2013, with our Middlesbrough Reading Campaign working to address literacy issues in the town, forming partnerships with cultural venues in the city and supporting primary schools. BookBenches decorated by Middlesbrough schoolchildren with designs inspired by their favourite books were displayed at the Middlesbrough Institute of Modern Art (MIMA) recently, as part of the Northern Children's Book Festival. We’ve also worked closely with local club Middlesbrough FC, providing features on the importance of literacy in match-day programmes and supporting their events and family facilities with free books. At Christmas, we teamed up with the club to give free books to Middlesbrough primary school children, which were handed out by top Middlesbrough players. 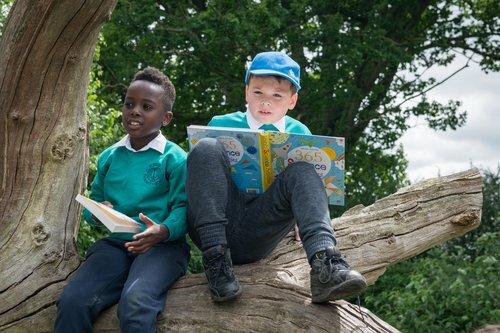 Our national reading for enjoyment programme, the Young Readers Programme, also works with primary schools in Middlesbrough, helping many pupils in the town choose books of their own to take home, and introducing them to the joy of reading for pleasure.